To say that the kids have enjoyed playing with their Magformers sets, would be a complete understatement. I would go as far as saying it is my eldest’s new favourite toy. So much fun in fact, that he skipped lunch (for the first time ever) because he was too busy playing and creating! 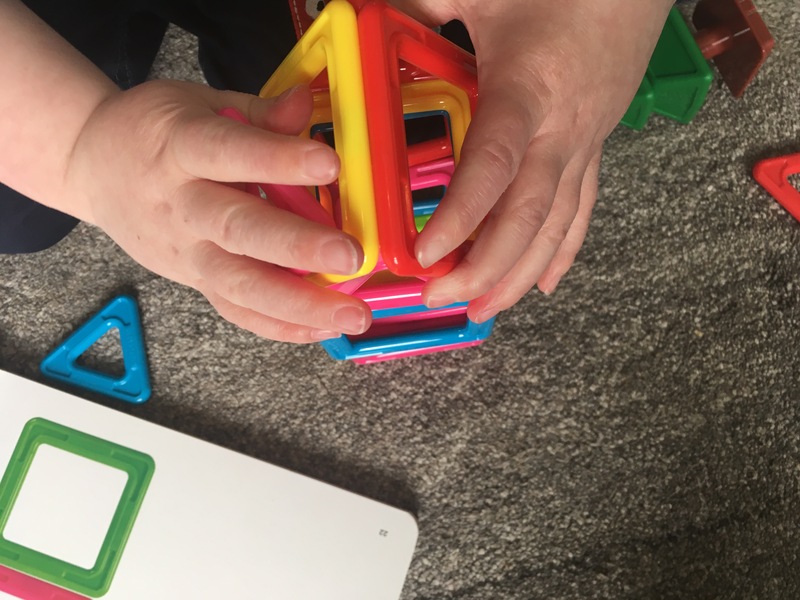 For those of you who haven’t spent the afternoon drinking coffee and watching children absorbed in playing with Magformers (…another reason I love them, I never normally get time to drink a hot drink!) 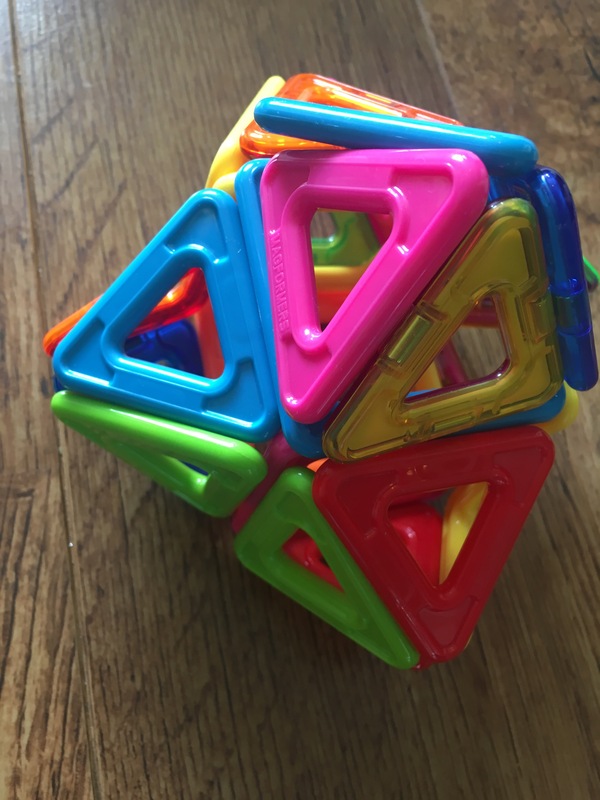 Magformers are square and triangular pieces of plastic with magnets inbuilt on each side of the shape. The sides attract each other, allowing you to ‘stick’ pieces together and build and create! 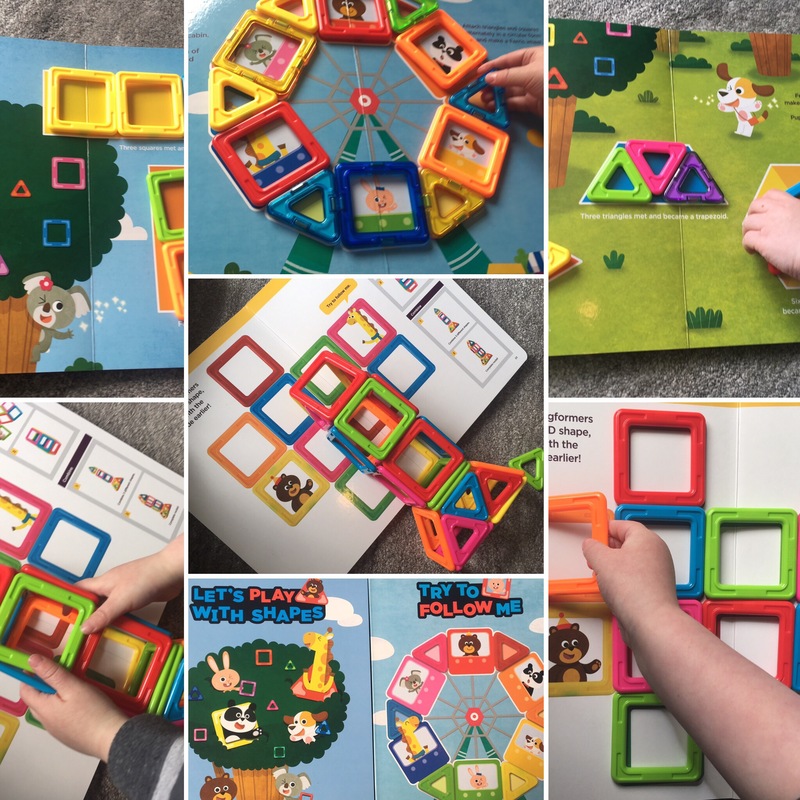 Alternative Building Toy– I actively encourage children to play with building toys as I believe they have so many learning benefits (developing fine motor skills, creativity, problem solving, concentration). 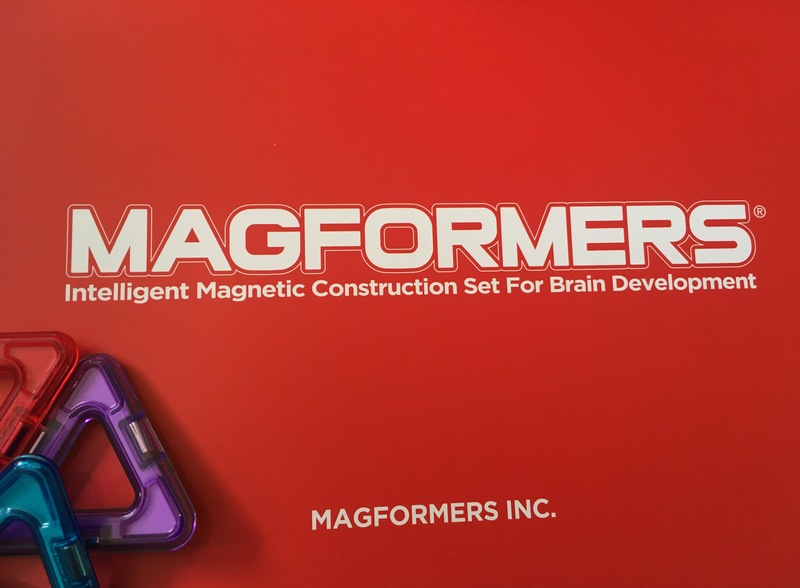 And it’s fantastic to find a new, novel and interesting building toy in Magformers. What’s also great about Magformers is they don’t take up very much space at all, and they stick together, meaning they don’t take over you’re entire house & they are portable! 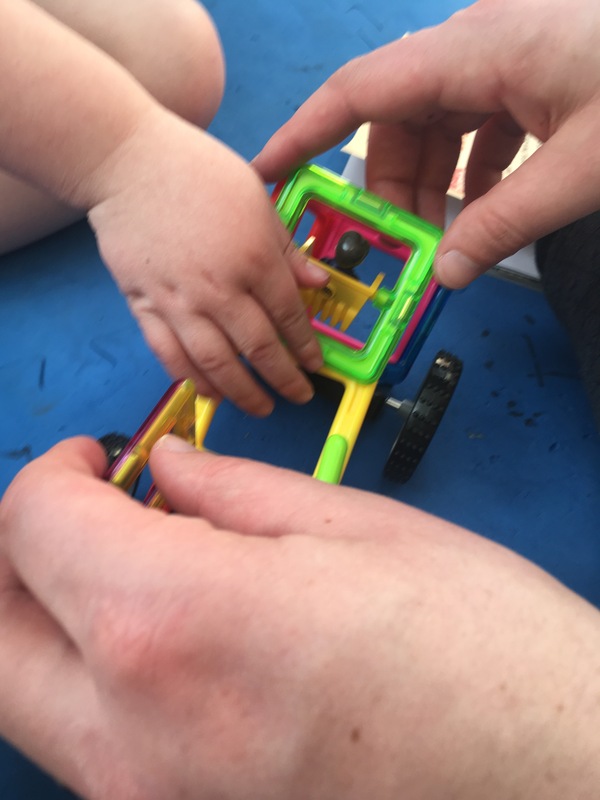 Fine Motor Skills – Magformers are great for developing Fine Motor Skills because they require children to pull the pieces apart, manipulate them into position and attach onto new pieces- all of these use and develop the tiny muscles in the hands and fingers that are required for important tasks such as learning to write. They are also a fantastic resource for developing hand strength & coordination. 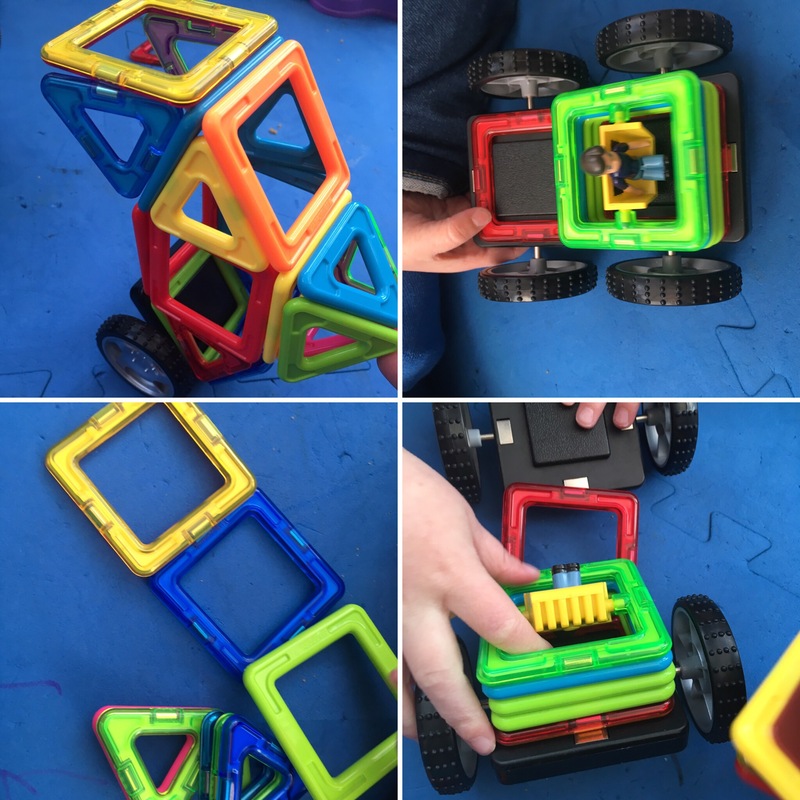 Creativity- My children loved that Magformers have the potential to become anything! Endless possibilities that inspire creativity. 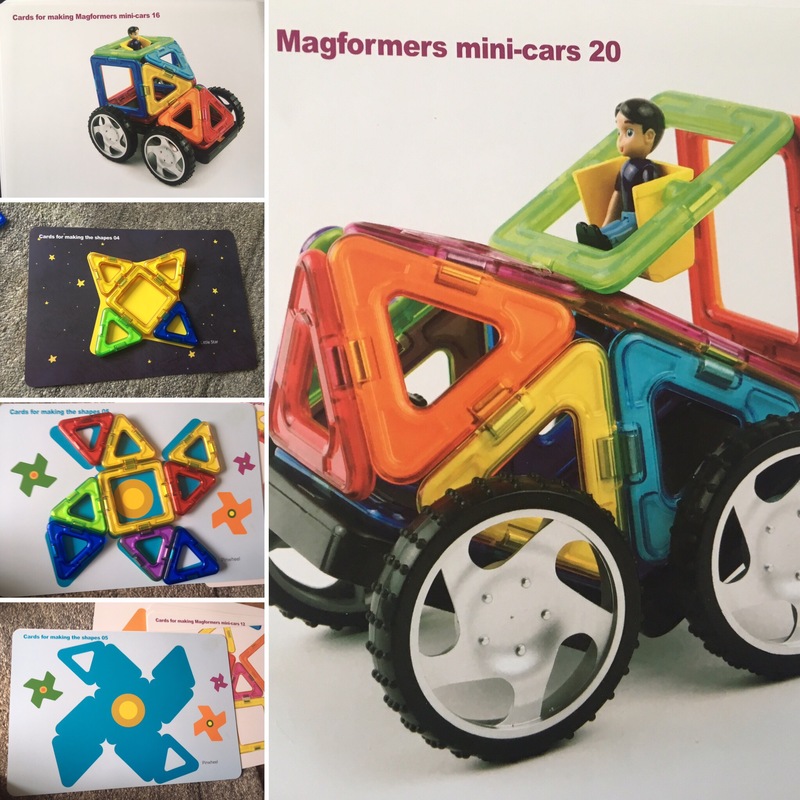 Magformers 63094 WOW set is accompanied by photographs of the various vehicles and outlines of the shapes that can be made using the set, helping to inspire children. 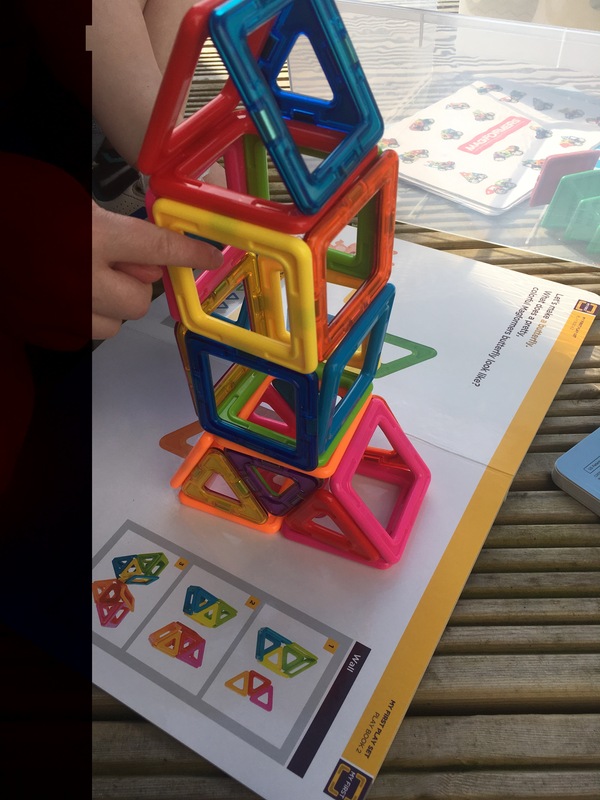 STEM– There’s so much science, technology, engineering and maths that could be covered and learnt together whilst playing with Magformers. From magnetism, forces to learning how to build strong structures and form shapes. Buy one on their Website using our Discount Code SENRES10 for 10% off! 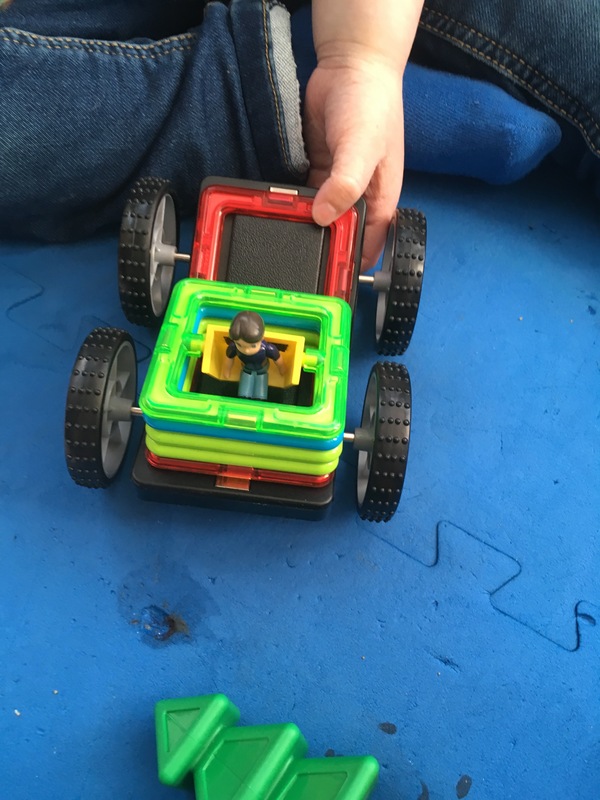 My son has magformers, an amazing toy. Really enjoy playing with them as a relaxing pre bedtime toy. Need to buy another set to build some more adventurous creations. Great aren’t they! We should be featuring a special one during our Dinosaur Week so comeback and see in the first week on May! Thanks, they are brilliant aren’t they! Oh really? Funny what memories toys bring back isn’t it! They are ace aren’t they. Use my discount code for some money off on their website if you do go ahead and get some. 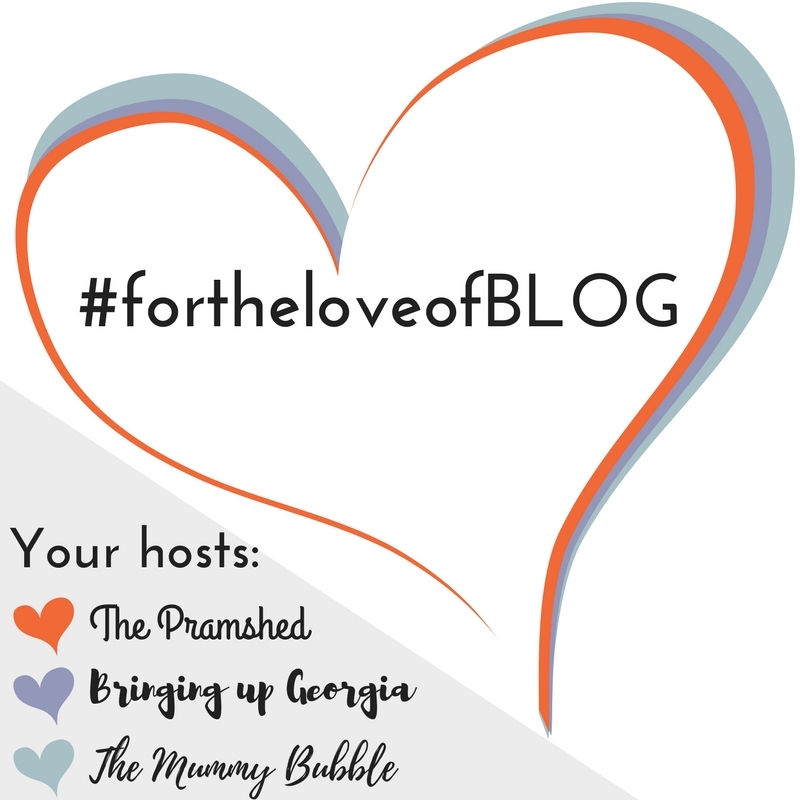 Also it’s or dinosaur themed week on the blog next week and we have some very exciting dino magformers to show, so please come back and have a look!! What a really cool toy, my Little Man would love this. Haha do it- get yourself a set! They are great aren’t they. Sodd the children, I want these! I love things I can fiddle with that are tactile!! I know my son wold love them too, he’s autistic and these would keep him busy for a fair while to be sure.